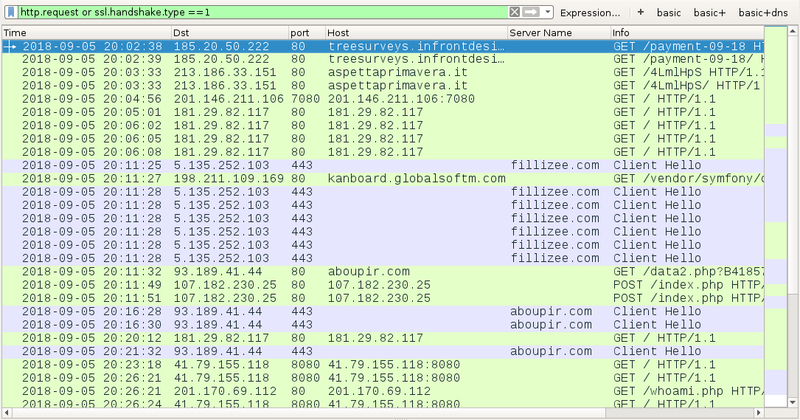 Traffic-wise, it looks like Emotet retrieved IcedID, then IcedID retrieved AZORult. 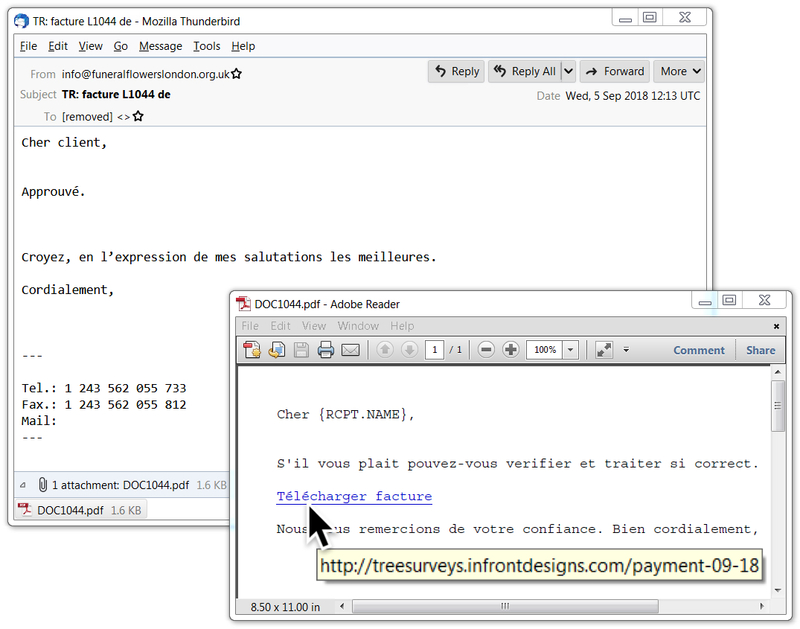 As noted yesterday, this week I've seen Emotet malspam with PDF attachments, where there is no link in the message text for an Emotet Word doc. Instead, the PDF attachments have a link for the Emotet Word doc. Of note, I'm also seeing Word docs directly attached to the emails from Emotet malspam. And as usual I'm also finding URLs from the Emotet malspam message text with links to the Word document (these emails have no attachments). Malspam with no attachments and a link to the Word doc in the message text. Malspam with no links in the message text, but a PDF attachment with a link to the Word doc in that PDF file. Malspam with no links in the message text, but a Word doc attached directly to the email. Shown above: Screenshot from a malspam example on Wednesday 2018-09-05. 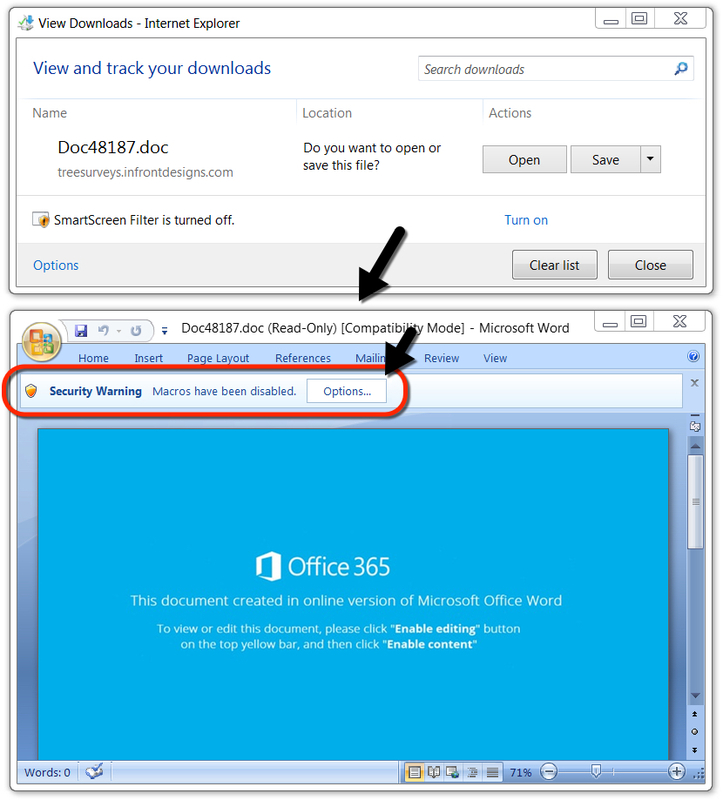 Shown above: Clicking on the link in the PDF document downloads the Word document used to infect a vulnerable Windows host. Shown above: Websocket traffic caused by IcedID on the infected Windows host. Shown above: SSL/TLS certificate data consistent with previous samples of IcedID banking Trojan (1 of 2). Shown above: SSL/TLS certificate data consistent with previous samples of IcedID banking Trojan (2 of 2). Shown above: Scheduled task to keep IcedID persistent on the infected Windows host. 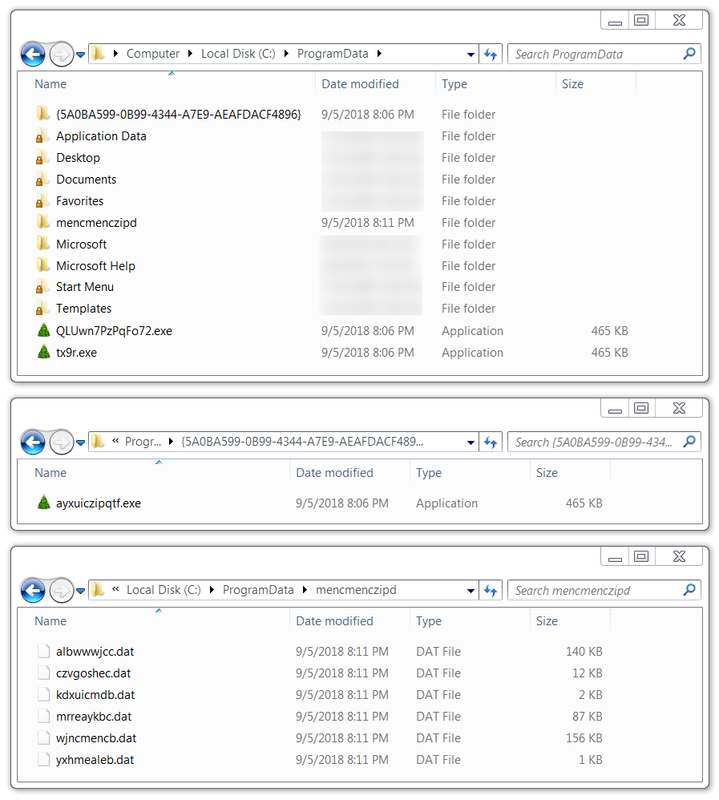 Shown above: Locations of IcedID malware and artifacts on the infected Windows host.